CAPITOL HILL – The Navy’s shift to a distributed maritime operations concept and turnover in top operational commands has created “more moving parts” in conducting a new force structure assessment, the Navy’s deputy chief of naval operations for warfare systems told lawmakers this week. Vice Adm. Bill Merz told the House Armed Services seapower and projection forces subcommittee on Tuesday that the distributed maritime operations concept – which is appropriate when facing potential peer or near-peer adversaries – requires a different mix of ships within the fleet, as well as a different approach to logistics and medical care for the fleet. 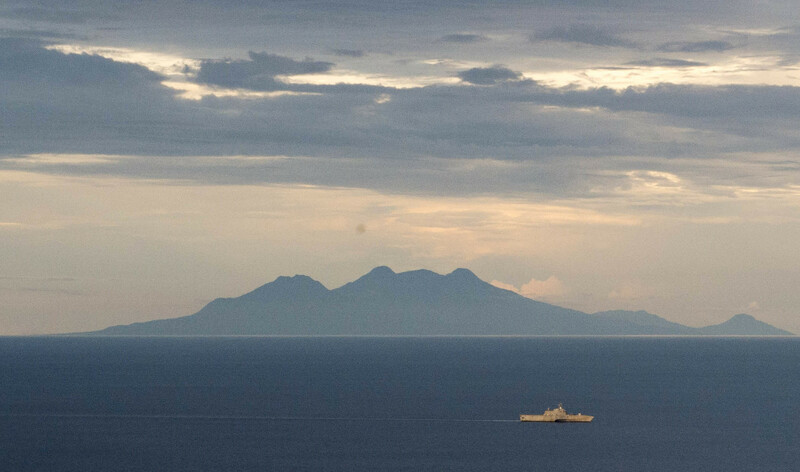 The previous FSA, conducted in 2016, called for 104 large surface combatants – cruisers and destroyers in today’s fleet – and 52 small surface combatants, or the Littoral Combat Ship program that is about to transition to the frigate. Navy officials earlier this year discussed their desire to push more capability from large combatants down to small and unmanned combatants, which will be cheaper to buy and therefore able to be acquired and deployed in larger numbers to support DMO. Merz, at Tuesday’s hearing, said, “we’re expecting a pretty hard look at the mix of ships this year. We know we are heavy on large surface combatants, and we’d like to adjust that to a more appropriate mix, especially with the lethality we’re seeing coming along with the frigate – all shipyards have agreed that they can give us the lethality we need” in their bids for the frigate, one of which the Navy will select in Fiscal Year 2020. Merz said that, while the overall force size is likely to increase beyond today’s 355-ship goal, the number of small surface combatants in particular is expected to increase in the next FSA. 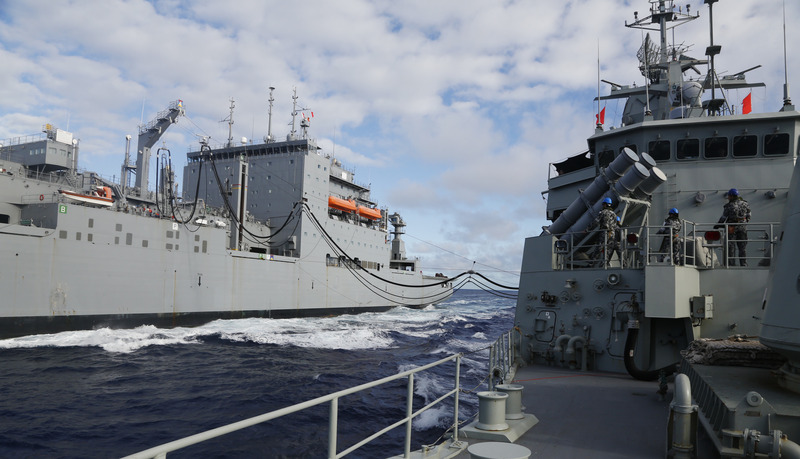 Another key area set for increases in the next FSA is support ships such as oilers, dry cargo ships, medical ships and other assets used to support sailors and Marines operating forward. If the fleet relies on more smaller ships operating independently instead of sailors massed on fewer larger ships operating in strike groups, the Navy will have to rethink how it sustains that force – and the answer almost certainly involves a requirement for more supply ships. For example, rather than rely on today’s two hospital ships – USNS Mercy (T-AH-19) and USNS Comfort (T-AH-20) – the Navy is moving to smaller “ambulance ships.” Merz said at the hearing that the 13th Expeditionary Fast Transport (EPF) ship built at Austal USA in Alabama would be built as an Expeditionary Medical Transport (EMT), and the Navy requested money in its FY 2020 Unfunded Priorities List to buy a 14th hull as an EMT ship too. “We know we need this” capability, Merz said, and the FSA will help determine how much of that ambulance capability to invest in. Not included in the 2016 FSA but highlighted in the accompanying Future Fleet Architecture studies also done in 2016 are unmanned vessels. “Every study we have done has told us we need to have these capabilities, so we are shifting our investments” in the FY 2020 budget request to reflect the need for unmanned systems in the air, on the ocean’s surface and under the sea. Navy leaders at this week’s hearings noted they invested more than $400 million in FY 2020 alone, and billions in the coming years, into researching, designing and buying unmanned systems in all domains. “Every study since [the 2016 FSA] has identified these (unmanned) capabilities as force enablers that complement the battle force. We’ve already rolled them into wargames … so they’re very much a part of the calculus now, and this upcoming FSA” will reflect the need for unmanned systems to supplement manned ships, Merz said.